Sometimes it just takes the 'B' Team to get the conversation going. We have pointed out consistently why the ACA was a bad deal. 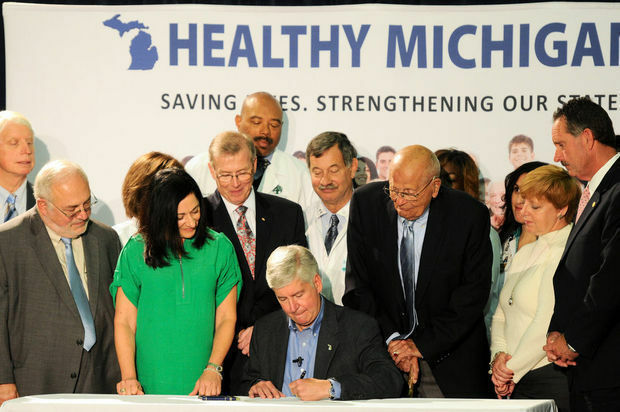 We have pointed out correctly why Michigan should never have engaged on the self destruct that is ‘Healthy Michigan’ And just the other day we pointed out with reliable and credible sources that our predictions have been spot on. But knowing there is a problem and correctly identifying it are two different things. We have on multiple occasions offered an accurate ‘why’ of what is going to happen. The Ivory Tower now sees there is a problem, yet opines that we are too afraid to pay the taxes for the problem, and that the FEAR of paying IS THE PROBLEM! A tax increase, or replacement is ALWAYS the solution, yes? Well Stephen Henderson and Nancy Kaffer are a little slow on the uptake sometimes. But did anyone notice that they are always the first to suggest that others pay to assuage their guilty consciences and never seem to be able to find their own wallets whenever the bill comes due? That is because these so called "journalists" were educated in our socialist/communist educational institutions. These institutions are nothing but propaganda machines. They don't want to report the crap that our legislators are traitors to every single taxpayer in this state. If they reported the truth about what happens in the People's Republic of Lansing and hammered them for this crap - the taxpayers would revolt and hold them accountable. Can't have that can we?